In Numbers 19:1-22 we find a command for the sacrifice of a red heifer and the usage of its ashes. These verses describe a sacrifice that is unlike any other and that is central to Old Testament purification. For almost two thousand years there has been no red heifer meeting the specifications necessary from which this ash can be made. But recently there are reports of the birth of such a calf in Israel. 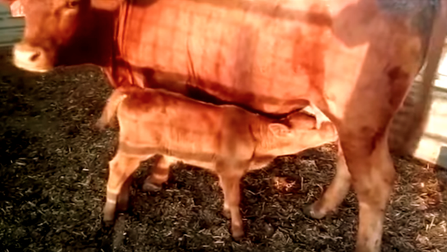 This has led many Christian preachers that teach the prophecy view of “Dispensationalism” to tell their audiences this calf is a fulfillment of Bible prophecy, whose arrival means the construction of the third Jewish Temple cannot be far behind. Dispensationalists believe that most of the prophecies about Israel are to be read literally as written. This creates a prophecy view that has God’s plan for Israel being different than His plan for the Gentiles (non-Jews). Their claim about this calf is nothing new for them for they have made the same claims about other red calves in the past. Each time they did this they ignored the obstacles that blocked their predictions. The obstacles I speak of are commandments in the Bible, each of which must be met before any red heifer can fulfill God’s requirements for sacrifice. This study will explain why these requirements have not been met in the past, and why they cannot be met now or at any time in the future. The red heifer is chosen by the purity of its coloring. To date every calf thought to qualify was later disqualified because they did not meet rabbinical scrutiny. But even if a red heifer is found acceptable, only a priest that is ceremonially clean can prepare it for its ashes. Such purification requires the sprinkling of the ashes of a red heifer (see Numbers 19:9). Without these ashes, no priest is ceremonially clean, which means, no priest can burn a red heifer for its ashes. So, a priest cannot burn a red heifer to make red heifer ashes unless he is first cleansed by the ashes of a red heifer. This endless cycle makes the birth of a red heifer, without already having the ashes of a red heifer, a Catch-22. So, when Prophecy Teachers print in their magazines or broadcast on their radio or TV shows that furnishings, garments, and red heifers are being readied for a “third Jewish Temple,” just remember that these things mean nothing without a purified red-heifer-ash-washed priest. I will next explain why a cow not being a true redhead is not the only thing standing in the way of it becoming red heifer ash. While working for a prophecy magazine some years ago, I had the opportunity to talk with some Jewish men who have devoted their lives to building the third Jewish temple. These men are known by many of the Dispensationalists who teach a “soon coming” third temple. However, these men had no access to the things necessary before this temple can biblically begin. Though this is true, the Jewish organizations they represent are still partly funded by well-meaning Christians. 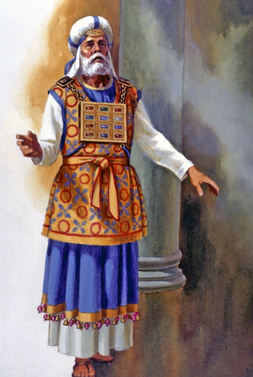 Make no mistake, when the first and second Jewish temples existed, they stood as God’s salvation plan to mankind. Hence, if a third temple is built, it will represent the same. So, how then can a believer financially support the rebuilding of the Old Covenant system of animal sacrifice and also believe Jesus’ sacrifice replaced that old system with the New Covenant plan of salvation? I ask this because the core message found in these two testimonies is clearly at odds with each other (read 2 John 1:10-11). Next The Heavy Question: Barabbas or Jesus the Christ? Thank you, Neighbor! This study came from several years of answering questions about a red heifer. I finally decided to combine all of these into one study. I am glad to hear you found it useful. The clearest exposition of the red heifer I have seen. It is a perpetual catch 22. I know you’ve studied the fulfilled view of eschatology longer than me, so your feedback is very much appreciated. Thank you for your review of my red heifer study. I’ve received similar feedback from others, for which I am grateful. I hope this study helps those who follow such claims rethink their position and instead see how such things are already fulfilled in Jesus. I remember, many years ago, Bro. Lee Stoneking got the subject of the red heifer started! Eyes were on the land of the Bible, and when they would find a red heifer that matched what they considered to be the perfect heifer, etc., etc. I also remember my dear late pastor-father making the statement: “What in the world does the red heifer have to do with anything? !” He considered it to have nothing to do with anything today! Having much confidence in my godly father, I didn’t pay any more attention to the subject! I really enjoy your writings, and I have for a long time!